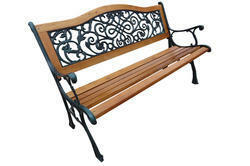 We are a leading Manufacturer of garden bench - c.i./wood- 122 - flowers, folding table, garden bench plastic - 4' long, garden bench plastic-4' long-wine red, garden bench - c.i./wood- 122 - royal and garden bench - c.i & wood- 122 - traditional from Surat, India. Size 126x45x74 Cm. Wt. - 24 Kg. 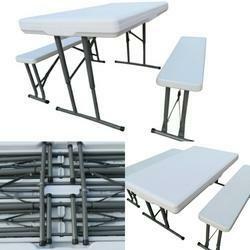 Can be easily dismantled and reassembled. Can be stored in a box in knocked down condition. Supplied in a carton in knocked down condition. Buyer need to reassemble at their end. 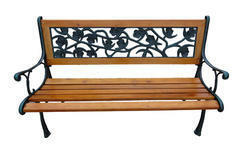 Dimensions : OVERALL-126 x 45 x 74 Cm Height. SEAT- 122 x 33 x 41 Cm Height. Weight- 24 Kg. Dimensions - TABLE- 113 x 68 x 47 Cm- 70 Cm. 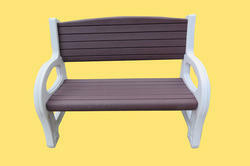 Ht., BENCH- 95 x 23 x 40 Cm Ht. Gross Weight - 19.0 Kg. Suitable for Lounge, Garden, Farm house, Corporate, Institutional Canteens, Restaurants, Ice Cream Parlor, Cafeteria, Food Parlor, Terrace. Size 122 x 43 x 43 Cm Ht. Can easily be dismantled and re-assembled. DIMENSIONS - 122 x 43 x 43 Cm Ht., Weight - 10 Kg. Dimensions : OVERALL-126 x 45 x 74 Cm Height. 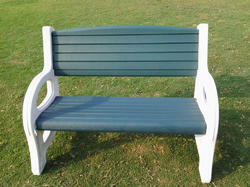 SEAT- 122 x 33 x 41 Cm Height. Weight- 26 Kg. 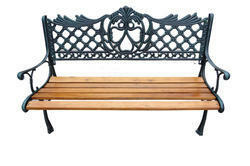 Garden bench is a very high quality product which can be conveniently used in all weather conditions with the great ease of lifting and shifting from one place to another whenever required. Applications : Garden, Farm House, Terrace, Lounge, Public Seating area, Individual house,Swimming pool,Hotels, Resorts, Restaurants etc. 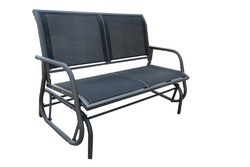 Strong design capable to hold weight up to 250 Kg. Product is supplied in a Brown carton in knocked down condition. Assembly of the product is to be arranged by the buyer at the destination. No such assembling services would be provided; by the seller. Stylish,elegant design comfortable seat with perfect back support and thigh support free and smooth oscillating movement can be dismantled and re-assembled suitable to seat 3 people suitable to use in garden,farm house,terrace,lounge strong design capable to hold weight up to 250 kg.materials used : frame : powder coated round mild steel tubular frame fabric : textylene. Dimensions : 70 x 120 x 87 cm height. weight - 11.5 kg. Folding Round Table - 4' Dia.